The legalization of marijuana in Colorado has not stopped racial disparities in arrest rates, with blacks still much more likely than whites to be charged with crimes related to the drug, although overall arrest rates have fallen significantly. The report by the Drug Policy Alliance, which campaigned for the legalization of pot, found that since the first shops selling marijuana opened in January 2014, there has been a decrease in traffic fatalities and an increase in tax revenue, jobs and economic output from pot sales right across Colorado. The total number of charges for possession of the drug also fell dramatically by 95 percent from 39,000 in 2010 to just over 2,000 in 2014. 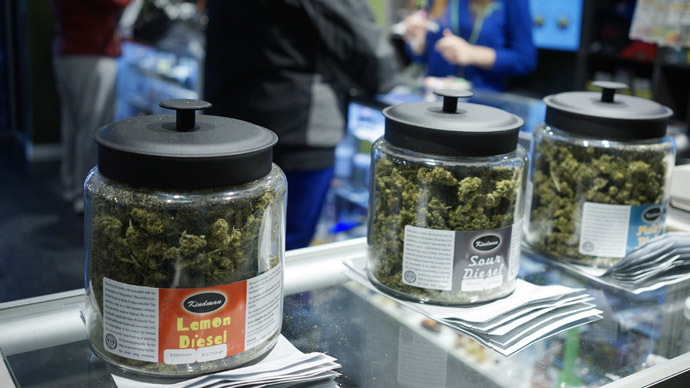 But even after legalizing marijuana sales, blacks are still more than twice as likely as whites to be charged with public use of the drug, its illegal cultivation or possession of more than one ounce. The marijuana arrest rate for people of color in 2014 was 2.4 times higher than for white people, just the same as in 2010. “Legalization is no panacea for the longtime issues that law enforcement had with the black and brown community,” said Art Way, Colorado director for the drug Policy Alliance, in a statement. However, Tony Newman, also of the Drug Policy Alliance, was slightly more upbeat about the findings of the report. “Despite the unsurprising racial disparities, these massive drops in arrests have been enormously beneficial to people of color,” he said. There was also a slight fall in the number of charges for marijuana distribution for black people, who accounted for 22 percent of such arrests in 2010 and 18 percent in 2014. The report’s findings also got a mixed response from NAACP – the National Association for the Advancement of Colored People. “The overall decrease in arrests, charges and cases is enormously beneficial to communities of color who bore the brunt of marijuana prohibition. However, we are concerned with the rise in disparity for the charge of public consumption and challenge law enforcement to ensure this reality is not discriminatory in any manner,” said Rosemary Harris Lytle in a statement. But blacks are much more likely to get caught for illegal marijuana cultivation now than before it was legal. In 2010, more whites got arrested for illegally growing the drug. In 2014 the arrest rate for blacks was 2.5 times higher. And the statistics also reflect greater law enforcement attention paid to blacks. “Black communities, and black people in predominantly-white communities, tend to be generally under higher levels of surveillance than whites and white communities and this is probably why these disparities are arising,” said sociologist Pamela E Oliver of the University of Wisconsin in emailed comments to AP. Latinos, Colorado’s largest ethnic minority, were left out of the report because the data came from the National Incident-Based Reporting System, which does not tally numbers for them.